Mobile technology and social networks provide some of the most powerful tools available today for building a sense of belonging, support and sharing. Social media has become the number one activity on the web. How many care organisations have an effective online communications and engagement strategy? @Media_Trust Top tip #GoMobileconf: 80 per cent of Twitter users access it via their smart phone. In a week that Jeremy Hunt announced a new initiative to combat the isolation and loneliness experienced by millions of people it does seem extraordinary that so few local authorities and Health and Wellbeing Boards are exploring how digital technology can connect people and communities. With an increasing number of web and mobile based applications from simple information to more complex care management tools digital technology has the potential to transform the delivery of care and support in communities. It is fair to comment that access to high speed broadband will be an essential element to realising the full potential of digital technology for providing. 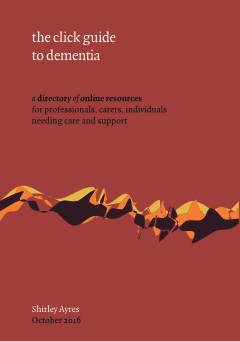 An impressive amount of research has been undertaken and reports produced to explore the challenges, barriers and opportunities of encouraging older people to use the internet and digital technology to live more independent and fulfilling lives. The internet and digital technology has a very valuable role to play in providing access to services and support to those who have difficulty accessing them in the offline world. Hear Murtz Abidi founder of the Casserole Club talking about the inspiration behind Casserole on the Disruptive Social Care podcast. The Good Gym makes it easy for people to combine exercise with doing good in their local community. The Good Gym unlocks volunteering potential by channelling the energy that people spend on exercising and turning it into positive social action. It was set up to connect elderly and isolated local residents with a runner on a mission: to get fit, do something useful and to provide social interaction. The Good Gym currently operates in East London. Update 3rd December 2012. Delighted to hear that Mindings has recently won £100,000 of funding to pilot the service within a local integrated health and social care system in the Midlands and East of England. I understand that accessing and learning about the digital world can be a challenge for many individuals. Research shows that learning in the later stages of life can boost confidence, give residents a more positive outlook on life and delay the onset of dementia. While some older people have a good grasp of how to use computers already, many lack confidence in their ability to learn something new. Quite simply what people need are signposts to help them explore what technology products and services are available, both through statutory services or to purchase independently. A critical factor for organisations is ensuring that internal structures and culture are designed to embrace change and foster a willingness to learn new skills and engage with digital technology. The many innovations being supported by funders suggest there is no shortage of ideas for applying digital technology to the challenging problems confronting society including isolation. We have developed the Care in a Digital Age programme to help public sector bodies explore the potential of the internet and digital technology to join up all of the different innovations which have the potential to transform lives. Do contact me if you would like your local authority or Health and Wellbeing Board to be involved in this exciting initiative.